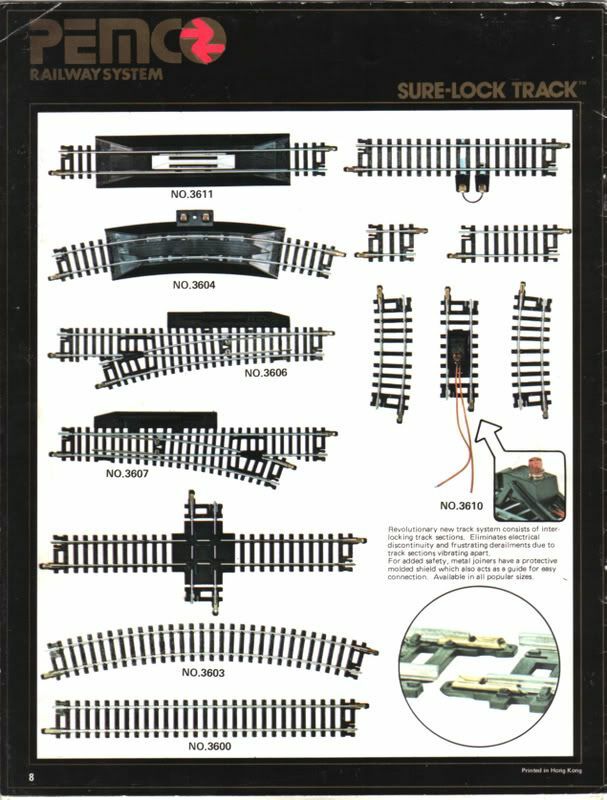 There is only one known product catalog produced for the Pemco Railway System line of model trains. The catalog carries no date, but must be 1980 or 1981. My copy includes a photocopied Pemco price list with the New York mail-order company TrainWorld's name and address. 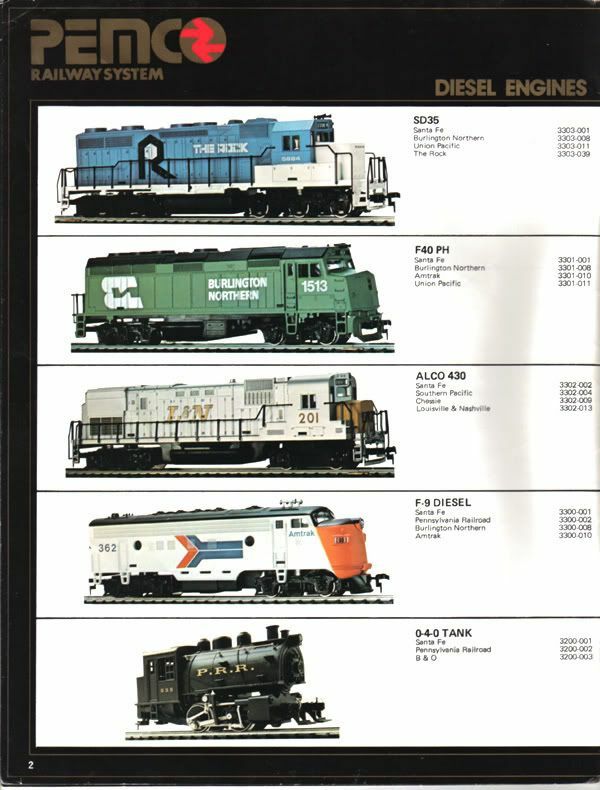 The catalog is 8-pages of full-color and illustrates Pemco's locomotives, freight cars, and accessories. 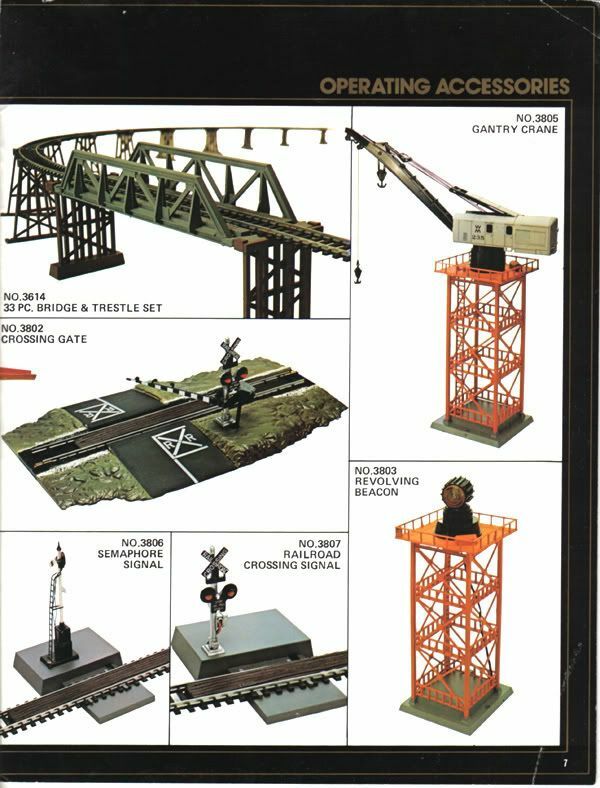 For a ready-to-run line, there are oddly no train sets found in this catalog. Only one Pemco train set is known, please review the train sets page for further information. 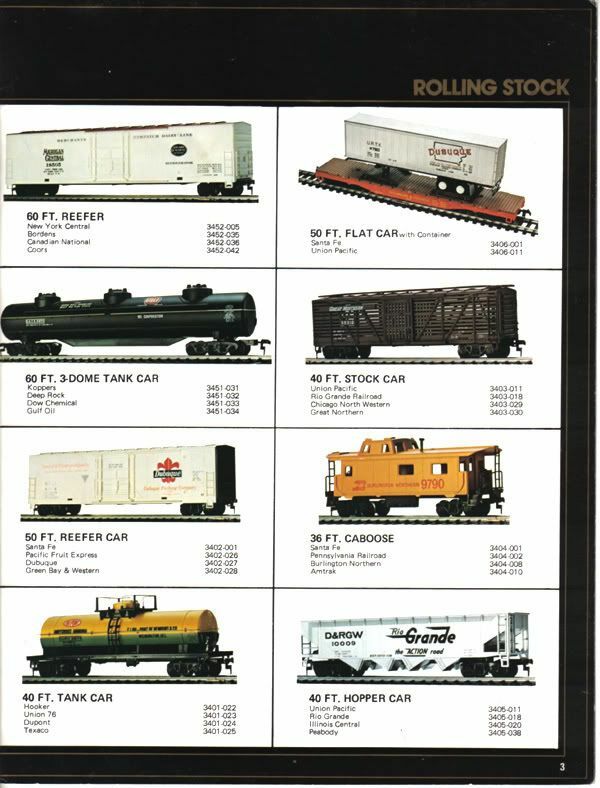 The only Pemco items known to exist, but not included in this catalog are: 50-foot Double-Plug Box Car, 60-foot Double-Plug Box Car, plus some variations to the company's 50-foot Flat Car with loads offerings. 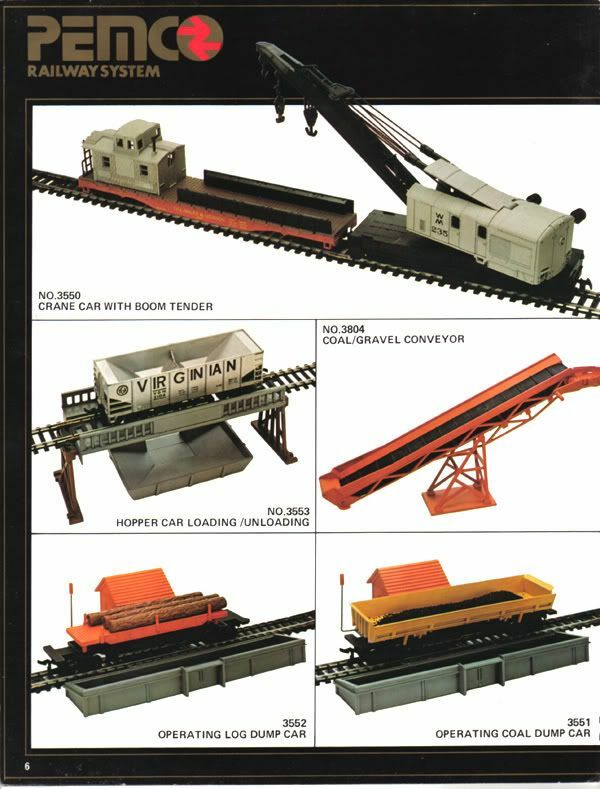 The Pemco catalog lists only two 50-foot Flat Cars and calls for both to include a Container. The other flat observed include one with a Bridge Girder Load and another with Piggyback Trailer. It should be noted that a number of the models appearing in Pemco's catalog do not match the production-run examples. This is very typical and happens quite frequently. Examples include Pemco's F40PH pictured in the catalog with a reversed "BN" logo, while production examples viewed never have this flaw. 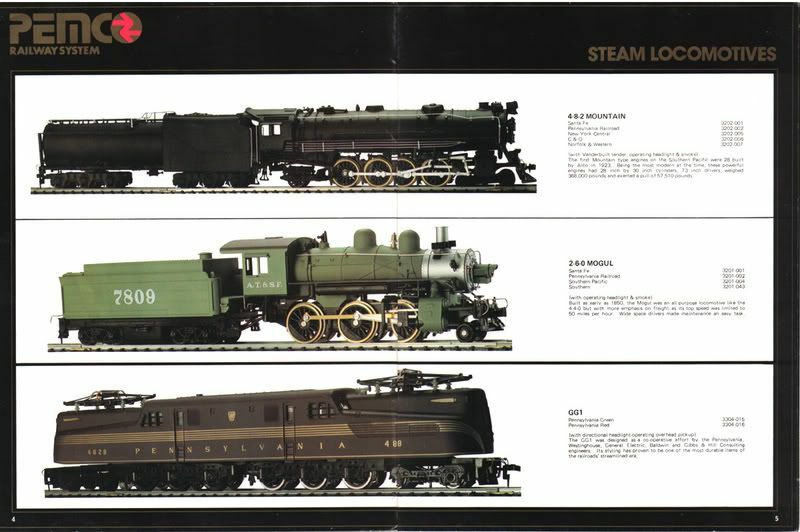 The Santa Fe 2-6-0 Mogul steam engine is pictured in the catalog in a light green paint scheme and carries a different number, than the black Santa Fe 2-6-0s that appear with frequency at swap meets and on eBay. The model used in the catalog to display the Caboose is a yellow shell with red "BN" markings carrying the number "9790," while examples seen are green with a black roof and are numbered "151." Again, just a good caution for anyone to not put all stock in catalog images when collecting.